Brother Mike D has asked me to collect some images for their annual week of Halloween Horror Celebration over at Cultural Compulsive Disorder. My contribution this year will be picture collections that represent the season. 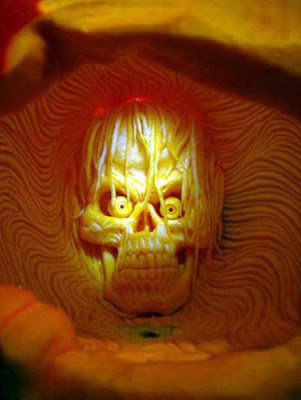 First up - Pumpkin carvings without back lighting. 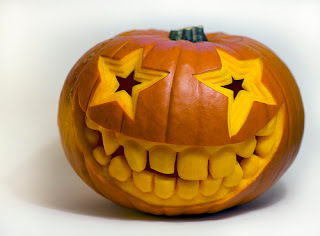 I am a person who loves good art and design that catches my eye. 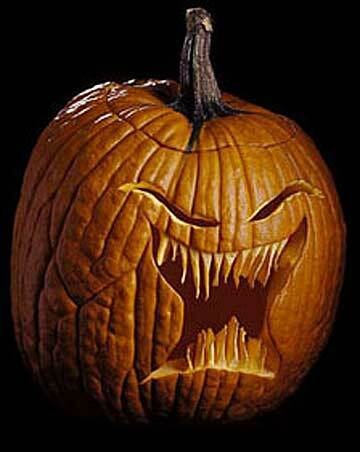 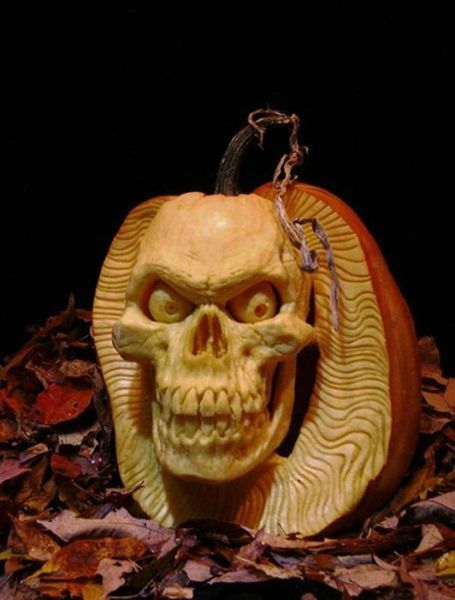 Personally I can't resist these seasonal carvings. 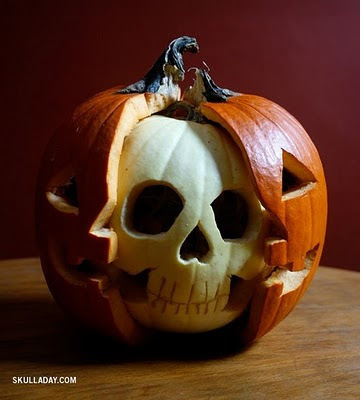 They are not made to be preserved so they get destroyed after each Halloween, only to re-appear 11 months later. 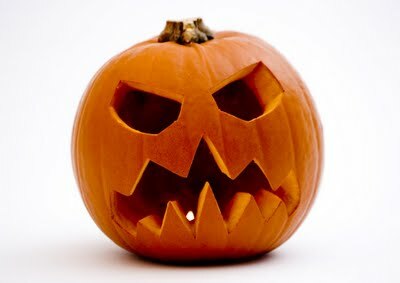 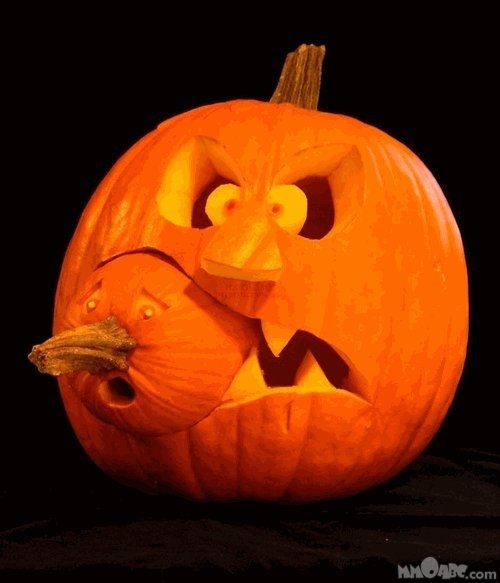 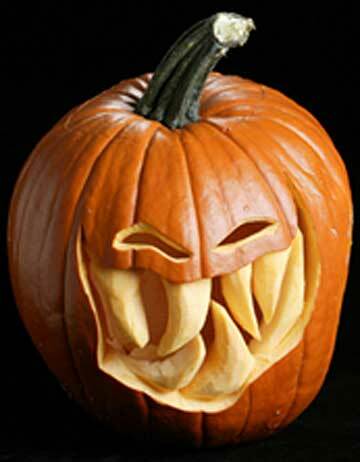 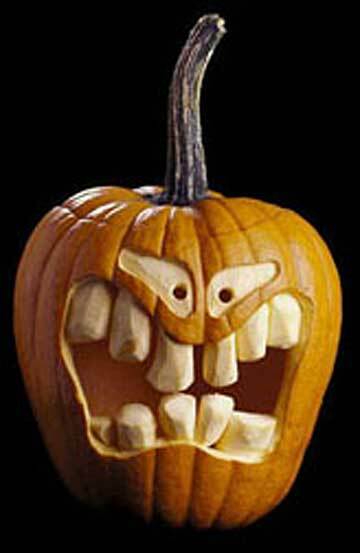 When we were growing up all our pumpkins looked like the classic version - triangular eyes and crooked mouth. 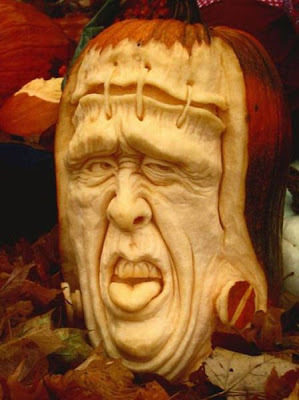 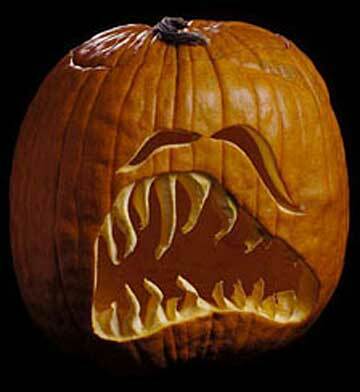 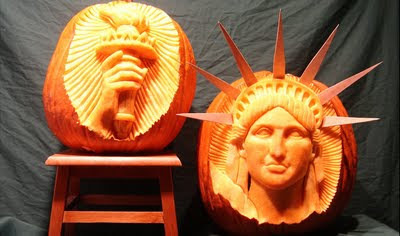 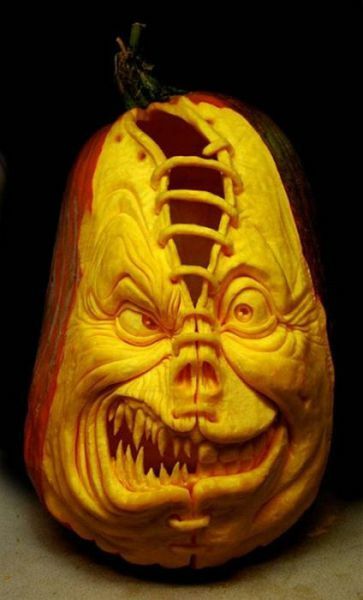 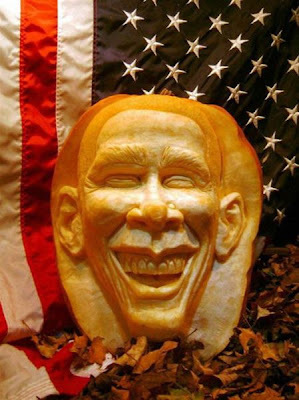 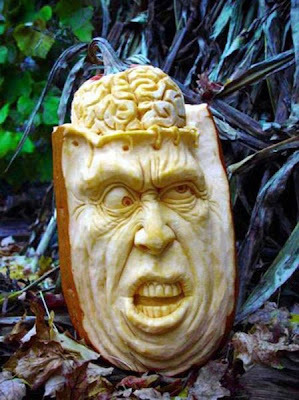 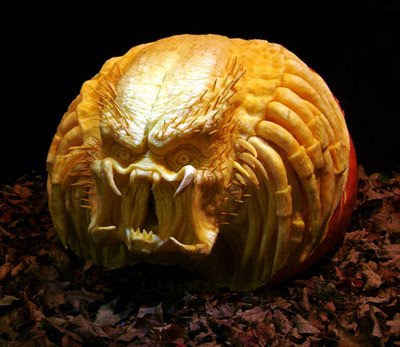 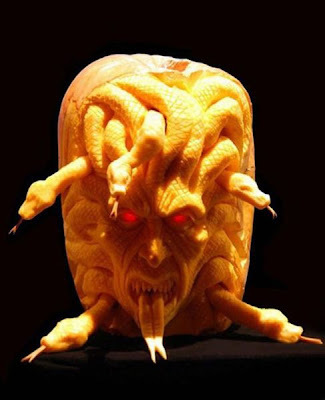 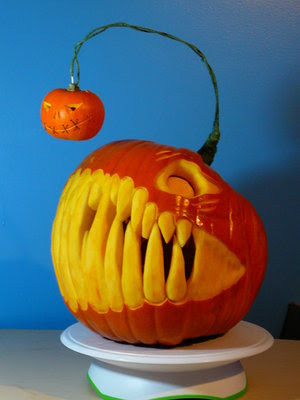 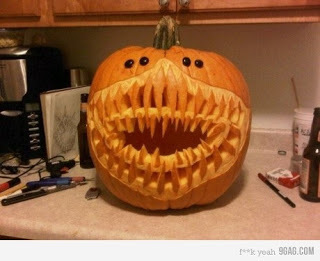 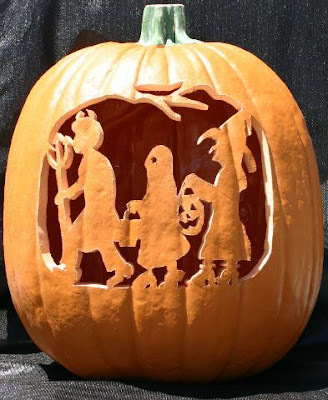 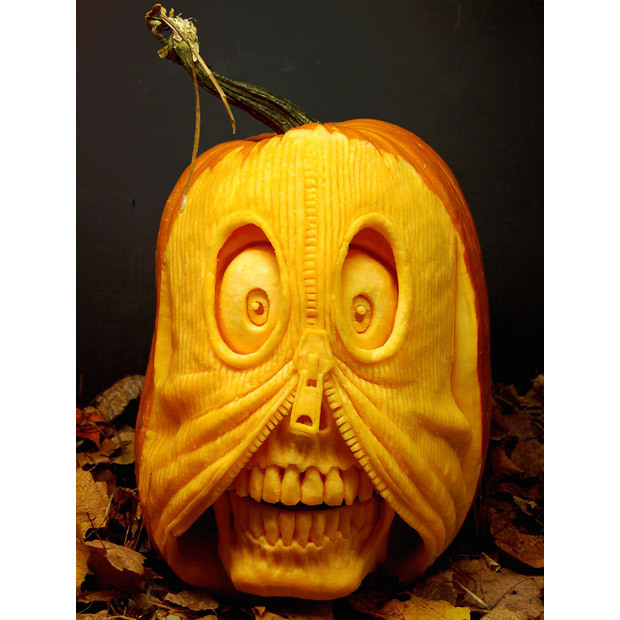 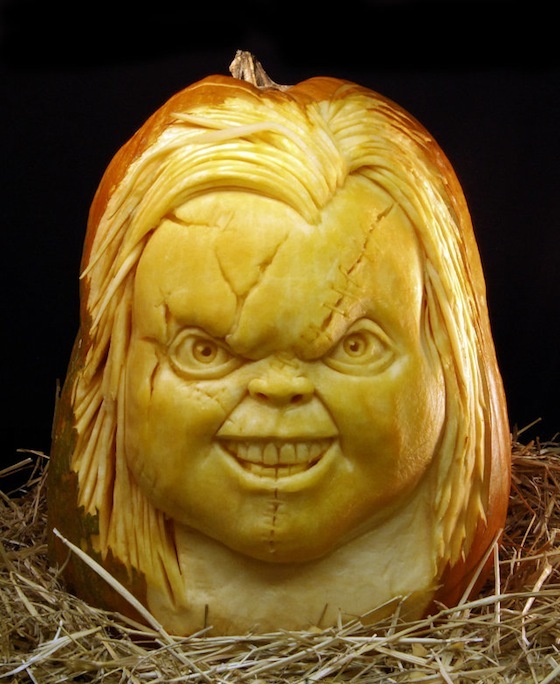 In the past decade the carving of the pumpkins has reached a whole new level of artistic sophistication. 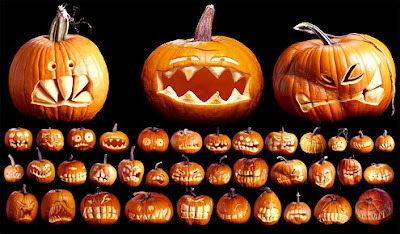 Check these out and tell me what you think.